Continuing from the previous two articles where I talked about how you can plan a trip to Shimla and Manali separately; in this article I will talk about how you can plan a trip covering both these places in the same trip. Together, these two towns are probably the most visited ones in all of Himachal and make up for a perfect family holiday. There are several reasons behind this, like of safety and connectivity; but the biggest reason in my opinion is that Shimla and Manali have something to offer for everyone. It does not matter if you are planning a quick outing with your friends; or a proper vacation with your family, you know that heading towards either of these places will not end in a disappointment. How can you plan your Shimla Manali trip itinerary is what I will be discussing in this article. If you have about 7 to 8 days, you can easily explore both Shimla and Manali in a relaxed manner without rushing on any day. I will suggest a common travel plan that you can follow for your visit to Shimla and Manali. For the sake of this article, I will assume that you are traveling from Delhi. If you were however traveling from a different place; then only travel for first and last day will change. Rest of the itinerary will remain the same. I will suggest an itinerary according to 9 days of travel which will include two weekends and an entire trip; starting from a Saturday and ending on next Sunday. If however you were short on time then you can easily take days out from this itinerary. A more detailed explanation of this itinerary is as mentioned below where I have explained on what all places you can cover during your stay in Shimla and Manali. I have kept only 2 days of stay in Shimla because in my opinion, that is sufficient to cover the major tourist attractions here. Manali has slightly more to offer to tourists than Shimla does. Don’t get me wrong, there are plenty of tourists attractions in Shimla as well; but off late, it has turned more into a residential and commercial place than being a tourist destination. The plan above can be completed by both a private vehicle and public transport. Traveling by your own vehicle of course will be better and more convenient. Not much to this day except for a long travel. From Delhi, take NH1 and then take the road towards Shimla from Chandigarh via Himalayan Expressway. There is currently some road widening work going on between Chandigarh and Shimla so the entire journey can easily take up to 10-11 hours. Total distance covered would be about 350 kilometers. There are regular HRTC buses from ISBT Delhi which you can board if you were traveling by public transport. Another fun thing to do would be to reach Kalka by Bus and then from there, take the Kalka – Shimla Mountain Railway, also known as Toy train, to reach Shimla. Also Read: How to Plan a Trip to Chail? Now there are multiple way that you can spend Day 2 and 3. There are several places to see in Shimla of which, Mall Road, Christ Church, Scandal Point, Jakhu Hill, Shimla State Museum are the most famous ones. 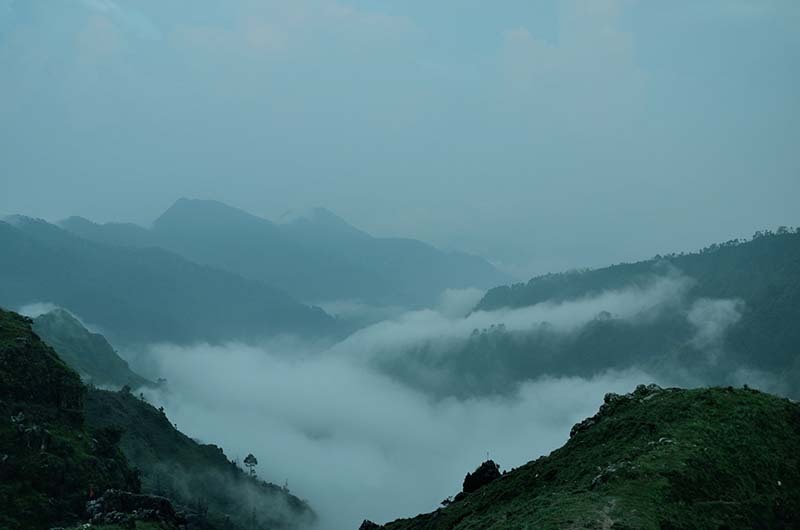 Some of the nearby hill stations that are very scenic are Kufri, Mashobra and Narkanda. If you were traveling by your own vehicle, what I would recommend is that you spend your Day 2 in Shimla itself. You can take a Walk on The Ridge; the area near Jhaku Hill and the Observatory. This is the place where Shimla’s fairs, festivals and functions are held. Tourists come here to see several colonial style buildings; a church; a library and statues of Mahatma Gandhi. You can also trek to Jhaku Hill, which at a height of 2,455 metres, offers a mesmerizing view of Shimla and the entire Shivalik range around. It is a fun trek of about 30 minutes to the top through a lush forest terrain. There is also a 108 fee tall status of Lord Hanuman at top of Jhaku Hill. On Day 3, take a drive to nearby town of Narkanda via Kufri. At Narkanda, drive all the way till Sutlej point and then have lunch there. After lunch, pay a short visit to Hatu Peak and then return to Shimla by evening. This entire drive is very scenic and definitely worth it. If you were traveling by public transport, my advice would be to spend these two days visiting places within Shimla city itself. Going to Narkanda by public transport and coming back to Shimla may be a bit of a hassle and to be honest, won’t be that much fun either. Also Read: How to Plan a Trip to Sarahan? Most of this day will be spent traveling from Manali to Shimla. You can take the route via Tattapani. The drive can be a bit long but is a scenic one and you will enjoy it. Spend this day in Manali itself. The first important thing you need to do is to get your permit for Rohtang Pass. This can take an entire day where you will first submit your request in first half and then collector the permit in second half of the day. Read the article below for step by step details on how this permit can be obtained. Apart from getting the permits, rest of the day will be spent in local sightseeing and walking around in Manali. There are several places you can visit of which Hadimba Temple, Nehru Kund, Vashist Hot Water Springs, Museum Of Himachal Culture And Folk Art, Manu Maharishi Temple, Gauri Shankar Temple, Jagatipatt Temple, Nicholas Roerich Art Gallery are to name a few. Today you will take the most scenic drive of your entire journey. Drive up to Rohtang Pass and then descend down on the other side into Lahaul valley. There are plenty of hotels in Keylong where you can spend the night. Or you can drive further 25 kilometers to Jispa and stay there at any of the camp sites. This part of the journey is highly recommended. People advising you for Manali will not add this to the itinerary but this actually is a must part of your trip. You will love the entire drive from Manali to Lahaul valley. Also Read: How to Plan a Trip to Rohtang Pass? On this day, start early from Keylong and reach Jispa. Have breakfast there and from Jispa, climb up to see Baralacha La top and drive all the way till Suraj Taal. From there, then backtrack to Jispa and Keylong and then return to Manali via Rohtang Pass. Last day of the trip before you return home to Delhi. There are 3 ways that you can spend this day. Either you can just relax in Manali and shop around a bit at Mall road. Or you can trek to Bhrigu Lake which a 6 kilometers hike from Gulaba. You can also plan a day visit to Gurudwara Manikaran Sahib. Also Read: What to See in Manali? Nothing to write about this day except that it will be a long journey home to Delhi via Chandigarh. Total distance covered will be about 550 kilometers so an early start from Manali is recommended. Shimla and Manali are very popular tourist destinations and always have people visiting here. Due to this, hotels in both these cities are ample in number in quite a wide range of budget. You will easily be able to find budget stays as well as luxurious hotels and resorts. I personally do not prefer booking hotels in advance as I like to first arrive, check the place out and then negotiate an on the spot deal. It is however more of a personal choice. In peak tourist season, it is definitely an added benefit and peace of mind if you have your accommodation booked and confirmed. If you were visiting Shimla and Manali in winter, you can still follow this itinerary with an exception of Lahaul valley. That part cannot be explored as Rohtang pass remains closed between November and April. In that case, you can use these two days to explore more areas like Manikaran Sahib or nearby towns like Kasol. In peak winters, it can snow heavily at both Shimla and Manali in which case, I will recommend that you be careful while driving around. If possible, hire a local taxi here who can take you for sightseeing safely. You will also have to be careful while packing clothes. Pack a few pairs of thermals and pack all your heavy woolens. Most of the hotels here offer 30 to 50% discount in winter season. Do keep in mind though that there is a huge tourist rush here around Christmas and new year. Also Read: How to Plan a Trip to Shimla? The road between Delhi to Shimla and Manali to Delhi is a mix of good and average. There are some bad sections in between but it is mostly a smooth run. So is the road at most of the other places with an exception of the stretch at Rohtang Pass. The road towards the top of the pass and then at some places towards Lahaul valley can get a little bad. In monsoon, there is also a lot of slush here and if it rained too much it can also cause landslides in between. Another bad section of the road is towards Manikaran Sahib. Between Shimla and Manali, the road via Tattapani is about average, a mix of good and bad. The annoying part of the journey will however will be the long line of trucks traveling between Mandi and Chandigarh. For a summer visit, your regular cottons will do but you may want to pack a jacket as well if you kept Lahaul valley as part of your itinerary. During monsoon season, make sure you are carrying proper rain gear along with your cottons. For winter trip, your heavy woolens, thermals, gloves and jackets are a must. Final question is, why visit Shimla and Manali at all. There are numerous other hill stations in Himachal and Uttarakhand that you can go to so why these two places? The answer to this question is actually in form of three major reasons. The first one is that both these places are very well connected to all nearby cities. Road connectivity remains open throughout the year and you can either drive on your own or catch an overnight bus. Second reason is in terms of safety. When you are out vacationing with family, you cannot really afford to go completely remote; places where no one goes. You would rather visit destinations that are filled with tourists so you can have fun as well as peace of mind. Shimla and Manali both are perfect destination in this aspect. Third reason is of availability of facilities like accommodation, phone reception, data connectivity; public transport, taxis, eateries etc and both these places again come out as winners here as well. I hope the information above was of help. If you have any other questions; or need any further details; please feel free to ask in the comments section below; or at our Community forum; and I will be glad to answer. If you have visited Shimla and Manali and have a few other tips that can be added to the article above, please be so kind to mention it in comments and I will add to the post. Not much to write about me really except for that I love to travel around whenever I can and to wherever I can. This blog is just a small attempt to share my travel experiences with the world. Hope you like it !! !